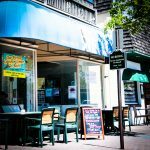 SPRING LAKE, NJ: For over 25 years, Ray’s Café, Sea Girt, New Jersey has been a mainstay for breakfast-lunch consumers. 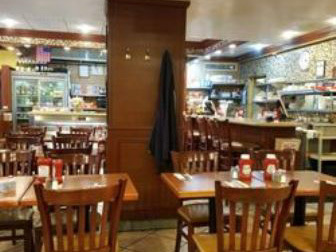 Several years later, Ray’s opened their second location on Third Avenue in Spring Lake, New Jersey. Thousands of eggs later, planning for retirement and turning down the burners just a bit, Ray Litzinger of Ray’s Café decided to sell his Spring Lake store. 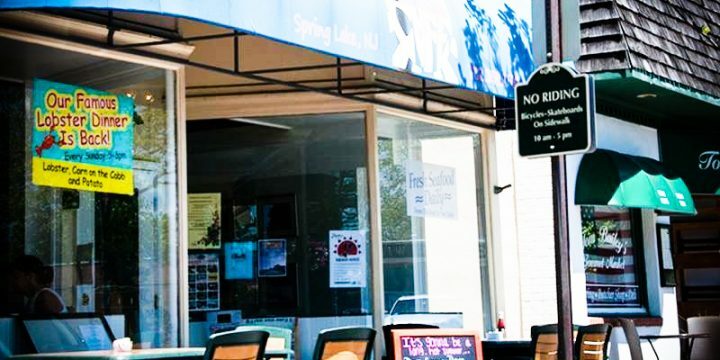 According to Richard R. Santore of Bielat Santore & Company, Allenhurst, New Jersey, broker for the sale, Ray’s Café, 1321 3rd Avenue, Spring Lake has been sold. 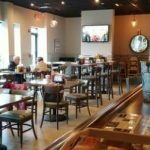 The new purchaser, a Belmar, New Jersey resident, will re-open following minor renovations with new decor and a new trade name; “A.M. Kitchen.” The newly renovated café will continue to serve high-quality food at both breakfast and lunch. Breakfast is typically the first meal of a day. The word in English refers to breaking the fasting period of the prior night. 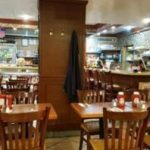 There is a strong tendency for one or more “typical”, or “traditional”, breakfast menus to exist in most places, but the composition of this varies widely from place to place, and has varied over time, so that globally a very wide range of preparations and ingredients are now associated with breakfast. Thus, if a restaurant has “breakfast” in its name, certain expectations are set. A.M. Kitchen will deliver, planning to offer excellent a unique menu of homemade breakfast and lunch items, made from scratch with fresh ingredients. When and where possible, many herbs and vegetables will come from local organic growers. 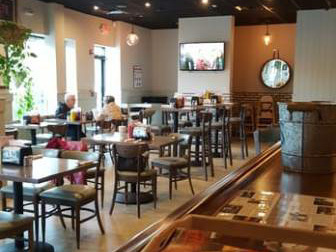 In addition to slinging eggs and pancakes, the restaurant intends to offer complementary newspapers and Wi-Fi and showcase local rotating art and artist receptions, book signings, poetry readings and local musicians periodically. Ray’s Café is open Monday through Friday 6:00 am to 3:00 pm, and Saturday and Sunday 6:00 am to 1:00 pm.